Well, with a thesis submission deadline of 31 May, and my wife getting a new job (which means I’m watching the boys while she’s at work), I have not had much time for blogging. So, today, I thought I would post a short section from my thesis introduction. In this section I try to develop a theology of poetry by looking at the works of David Constantine, Rowan Williams, and John Milbank. There are so many others I could have turned to, Coleridge would make the most sense, but these authors serve as a great connectors between poetry, fantasy, theology, and deification. I hope you enjoy. I will go into more detail about the effects of poetry and fantasy in the final chapter. What I will argue is that these twin abilities of poetry and fantasy are human imitations of and participations in God the Creator, and are therefore part of the process of deification. In order to understand how this is so, it is necessary to provide a theology of poetry and fantasy. This will lay the foundation upon which the human creativity elements of this thesis are built. I will do this by examining two authors on the subject of poetry––David Constantine and Rowan Williams––before turning to John Milbank on the subject of fantasy and myth. 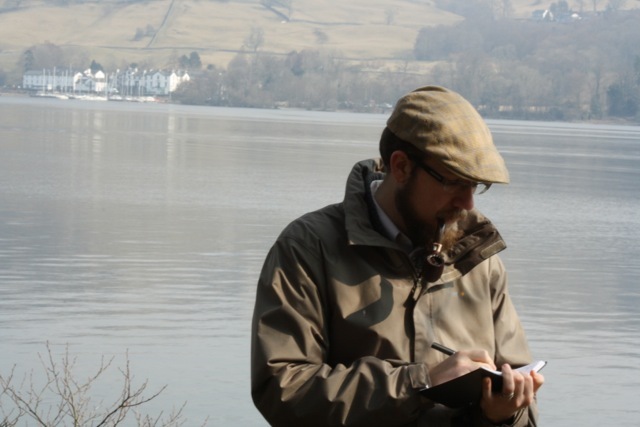 David Constantine in his book Poetry,⁠7 Rowan Williams in the fourth chapter of his The Edge of Words,⁠8 and John Milbank in his article ‘Fictioning Things,’ provide a useful grounding for a theology of poetry that will be underlie the rest of this essay. None of these authors goes so far as to suggest that the creation or reading of poetry and fantasy is deifying. However, their understandings of poetry can be utilised to uphold my argument that poetry/fantasy is deifying for both poet and audience. Poetry, for Constantine, is a fundamental of human society. It is not a superaddition, but rather an integral cornerstone. He writes, ‘I don’t think poetry a grace or a luxury that society might adorn itself with from time to time and drop altogether when it pleases. And I don’t think that poetry is for the few, happy or not. It is for the many, belongs and can only thrive among them, speaks of and to their concerns.’⁠9 Constantine is arguing both that poetry is necessary for society, but also that it is for all of society. It is not only for the high, for the learned, for the “elite” but for all. In this sense, poetry is common, is vulgar, is meant to be part of all human life. This integral nature of human creativity in the form of poetry will be connected to deification in the final chapter of this essay. Poetry, therefore, is for all people, but what role does it serve? These ‘religious connotations’ are not enough, however. Constantine is unwilling to make the absolute statement that the poet is a receiver, not only of her poetry, but of her place as poet. The poet is made in the image of the Poet, as I shall argue. This lack means he can only tell us so much, in this text, about the nature of the poet as poet. He also has, I would argue, an incomplete view of what poets, and artists in general are trying to do. For Constantine, ‘Literature, and the arts altogether, are the chief means by which human beings attain to consciousness of their condition. Poets and novelists, makers of fictions, try to say what it is like being human now; what the truth of our condition is, what responsibilities that truth entails.’⁠15 This is true, but not I think, in the way Constantine seems to mean it. Constantine seems to be arguing that poets are here to help humanity understand itself, in its brokenness, in its goodness, in every aspect of life. Further, Constantine wants to hint that there is a response on the reader’s or listener’s part to the truth imparted in poetry. Yet Constantine limits this to ‘what it is like being human now.’⁠16 Yet what about humanity’s future condition? What about trying to say what it ought to be like being human now, or what it will be like to be human in Paradise (or Hell as Dante does)? If Constantine means, instead, that the poet describes the human condition as it is in reality––in God’s reality––then I will agree. This is not what Constantine says, however. In the end, Constantine’s vision for poetry is laudable, but shortsighted. He desires poetry to become commonplace, to be available to all and not only the elite.⁠17 This is good and necessary if, as I will argue, poetry is a necessary aspect of deification. Nevertheless, this grander end of poetry, its deifying nature, means that poetry should be in the hands of all people in order to transform them. To ward all wounds and harm from him. First note the combination of internal and external rhyming schemes. The last phrase of the first line rhymes with the first phrase of the second; the final phrase of the second rhymes with the final of the fourth; and the final phrase of the third line rhymes with the first phrase of the fourth line. Beyond this structural complexity, the reader is left to contemplate the connection of ‘ancient kings’ and ‘chained rings’––though this is not too difficult since ancient kings in Tolkien’s world often wore armour when they went to war. The connection of rune to wounds is more interesting, for here is the suggestion that words and symbols can serve as conduits of protection from bodily wounds. What we see, however, is how right Williams is, rhyme in poetry causes the reader or listener to bring together two words they would not previously have connected and to contemplate their relationship. Each word is rendered strange as she attempts to understand their new meaning together. Poetry becomes a tool by which humanity relearns the deeper nature of the cosmos. This deeper nature, as I will argue in the following chapters is the sacramental nature of the cosmos. Williams does not go so far in this text, but that is likely due to the subject matter, namely natural theology. Williams then argues that all human art renders humanity strange to itself.⁠24 This allows humanity to grow more fully by allowing us to become self-reflective, seeing ourselves in this strange new light. It allows us to understand, ‘hat our stability or virtue always stands under scrutiny and is always to be suspected of not being what we should like it to be.’⁠25 This is another place where Williams goes further than Constantine, for Williams recognises that this perspective garnered by the creation and experience of art causes us to realise that we are not, ‘the originator of speech but always the respondent; we are always at a disadvantage in our speaking in the sense that we do not ever ‘possess’ the first utterance that begins the exchange, and are aware of shaping our speaking selves always in answer to what we have never completely or definitively laid hold of.’⁠26 God is the originator of speech, and therefore when humanity creates art and experiences we are attempting to understand our position as respondents to the first speaker. Poetry and other versions of extreme language, like fantasy, therefore, ‘is simply this process at its most challenging and adventurous.’⁠27 For Williams, therefore, poetry and extreme language ‘is a necessary tool of human maturity’⁠28 precisely because it teaches the reader or listener to see the world, and themselves in it, differently. It causes us to view ourselves as respondents, attempting to read the world, as an instance of God’s speech to us, rightly and respond to it accordingly. Williams is willing to call poetry necessary concerning our maturity, but this maturity seems to be a pre-resurrection maturity. Limiting himself to natural theology, in this instance, he cannot go on to say that poetry is equally necessary for humanity’s ultimate maturity, namely our deification, but this is a logical conclusion if we see earthly maturity as an essential part of eternal maturity, something I will come back to when I discuss the natural desire for the supernatural. A final text that is important to turn to is John Milbank’s ‘Fictioning Things’.⁠29 Milbank’s article lays out both the essential fictioning nature of humanity, the relationship between myth and folktale, and their relationship to Christianity and children’s literature. By fictioning, Milbank means the act of creating fiction; by fiction, he means works of imagination including, but not limited to, fantasy, fairy-story, and myth. Milbank, in this article, provides the beginning of a link between deification and the writing and reading of poetry and fantasy. He provides the rest of the link his book Beyond Secular Order,⁠30 which I will return to in the final chapter. Milbank also provides the same group of fantasy writers that I will focus on in this essay. He calls them the MacDonald tradition: George MacDonald, G. K. Chesterton, C. S. Lewis, and J. R. R. Tolkien.⁠31 For Milbank, this tradition, beginning with MacDonald, though having its roots in Romanticism both German and British, particularly through Novalis and S. T. Coleridge, is an attempt not merely to, ‘re-presents Christianity in a fictional mode, as that it re-envisages Christianity altogether, in continuity with certain strands of the Romantic tradition, in terms of the categories of the imagination, the fairy realm and of magic.’⁠32 I will refer to this same group as the British Faërie⁠33 tradition for each of them emphasises the fairy-realm, which we shall examine more below, as the place where one’s vision is reoriented and Christianity is re-mythologised or re-enchanted. Milbank alerts us to a key function of fantasy that I will return to in the final chapter, namely that it helps the reader to see their own world in a new light through seeing it first rendered strange. This princess who lacks subjection to gravity makes the reader aware not simply of the physical effects of gravity, but of the metaphysical as well. It is telling that the princess in MacDonald’s story is not only gravity-less, but is also levity-less. She laughs often, but never smiles. MacDonald’s story serves, in part, to teach us the nature of gravity and gravitas. One can perhaps see this difference evidenced when one looks at the more Catholic ‘Cinderella; or, The Little Glass Slipper’ as transmitted by Charles Perrault. Unlike the German, Protestant version of the tale laid down by the Grimm brothers where Cinderella is aided by nature in order to go to the ball, Perrault’s version has Cinderella aided by her fairy-godmother. Fairy-godmothers have made their way into modern fairy-tale parlance, but one must remember that godparenthood, a distinctly Christian (and primarily Catholic) position was one of intense spiritual and familial closeness.⁠50 This relationship too is filled with gifts, not unlike the sender-helper identified by Milbank. This sending-helping leads to the ultimate gift from the divine realm, the Eucharist, ‘which as food is the most exact example of an object necessary for subjective identity which nonetheless ultimately subserves that identity. (In consuming this food, unlike all other food, says Augustine and many others, we must become what we eat. )⁠53‘ The sacramental nature of fairy-stories does not end with the Eucharist,⁠54 the whole of nature is shown to be sacramental, of pointing to something within and behind it in the fairy-story. Fairy-stories contain that, ‘integrity of nature to be respected, its own life which we cannot fully understand and yet which constantly teaches us in symbolic mode, ethical and aesthetic lessons––patience, hope, joy, keeping the right distance and perspective and so forth––if we will but pay attention.’⁠55 These stories, these works of human art, therefore point toward the divine through nature and Faërie. Milbank connects the art of the fairy-story to the art of the liturgy. There is a natural and inherent relationship between Christianity and fairy-tales. Christianity, one can argue from Milbank’s preceding arguments, is what makes the fairy-tale possible. All the happy endings are either foreshadows of the ultimate happy ending in the resurrection of Christ or point back to it.⁠63 Christianity, therefore, not only legitimizes fairy-tales––and Faërie itself as Milbank seems to be arguing––but makes it necessary that fairy-tales continue to be read and written. Milbank writes, ‘By contrast, belief in God and in the triune God can perhaps only be revived if we re-envisage and re-imagine the immanent enchantments of the divine creation which appropriately witnesses to the transcendent One through a polytheistic profusion of created enigmas. The new tellers of fairy-tales to children and adults open out just this real horizon.’⁠64 Like the others above, Milbank, in this article does not go so far as to connect the reading and writing of fairy-tales/poetry to deification. Nevertheless, the connections are there. Fairy-tales and fantasy not only open up to its readers the sacramental nature of material things, but of the deeper meaning of themselves as made in the image and likeness of God. Connect this to the participatory and imitative relationship between the human creator of fairy-stories and the Creator and the deifying implications of writing and reading fairy-tales begins to become clear. This is what I will argue in this essay by way of examining the theological foundations of deification, by sourcing it in God’s act of creating, and human creativity, looking at humanity as imago dei and also as fallen sub-creators to use Tolkien’s language. Following the arguments laid out in this section, it is important to note that throughout this essay works of fiction and poetry will be used as arguments for the theological points I am making. If works of fantasy and poetry are truly humanity’s deifying participation in and imitation of God, then the works produced ought to stand alongside those works of philosophy and theology having the same level of authority or ability to speak on theological and philosophical matters coming from the imagination primarily, with a foundation in reason (Logos) and revelation. 1 By wonder I mean something like enchantment or a sacramental ontology, seeing every thing in the cosmos as more than what we can see and pointing us beyond it to its Creator. 2 Pieper, Leisure The Basis of Culture, 95. 3 Throughout this essay I will be using, fairy-story, fairy tale, fantasy, and even the general term Faërie synonymously. 4 J. R. R. Tolkien, ‘Tree and Leaf,’ in The Tolkien Reader (New York: The Ballantine Publishing Company, 1966), 63. 5 J. R. R. Tolkien, ‘Tree and Leaf,’ in The Tolkien Reader (New York: The Ballantine Publishing Company, 1966), 41. 6 Tolkien, ‘Tree and Leaf,’ 77. 7 David Constantine, Poetry (Oxford: Oxford University Press, 2013). 8 Rowan Williams, The Edge of Words: God and the Habits of Language (London: Bloomsbury, 2014). 9 David Constantine, Poetry (Oxford: Oxford University Press, 2013), 2. 11 David Constantine, Poetry (Oxford: Oxford University Press, 2013), 3-4. 12 David Constantine, Poetry (Oxford: Oxford University Press, 2013), 60. 13 For more on the grotesque see Alison Milbank, Chesterton and Tolkien as Theologians (), Ch. 2. 14 David Constantine, Poetry (Oxford: Oxford University Press, 2013), 77-8. 15 David Constantine, Poetry (Oxford: Oxford University Press, 2013), 95. Emphasis original. 16 David Constantine, Poetry (Oxford: Oxford University Press, 2013), 95. Emphasis original. 17 David Constantine, Poetry (Oxford: Oxford University Press, 2013), 139. 18 Rowan Williams, The Edge of Words: God and the Habits of Language (London: Bloomsbury, 2014), 131. 19 Rowan Williams, The Edge of Words: God and the Habits of Language (London: Bloomsbury, 2014), 133. 20 Rowan Williams, The Edge of Words: God and the Habits of Language (London: Bloomsbury, 2014), 134. 21 Rowan Williams, The Edge of Words: God and the Habits of Language (London: Bloomsbury, 2014), 134. 22 Rowan Williams, The Edge of Words: God and the Habits of Language (London: Bloomsbury, 2014), 137. 23 Rowan Williams, The Edge of Words: God and the Habits of Language (London: Bloomsbury, 2014), 139-140. 24 Rowan Williams, The Edge of Words: God and the Habits of Language (London: Bloomsbury, 2014), 147. 25 Rowan Williams, The Edge of Words: God and the Habits of Language (London: Bloomsbury, 2014), 147. 26 Rowan Williams, The Edge of Words: God and the Habits of Language (London: Bloomsbury, 2014), 147. 27 Rowan Williams, The Edge of Words: God and the Habits of Language (London: Bloomsbury, 2014), 147. 28 Rowan Williams, The Edge of Words: God and the Habits of Language (London: Bloomsbury, 2014), 153. 29 John Milbank, ‘Fictioning Things: Gift and Narrative,’ Religion and Literature, 37:3 (Autumn 2005): 1. 30 John Milbank, Beyond Secular Order: The Representation of Being and the Representation of the People (Chichester: Wiley Blackwell, 2013). 31 John Milbank, ‘Fictioning Things: Gift and Narrative,’ Religion and Literature, 37:3 (Autumn 2005): 2. Milbank categorises the latter two, Lewis and Tolkien, under the writing group of which they were a part, namely the Inklings. While it is true that other Inklings such as Owen Barfield (see Michael Vincent Difuccia, Owen Barfield: Theology as Poetic Metaphysics. PhD Diss. University of Nottingham, 2014), Charles Williams, and others have written works countering the demythologising of modernity, Lewis and Tolkien are not only the most well known but put the most focus on the writing and reading of fantasy and the role of Faerie. 32 John Milbank, ‘Fictioning Things: Gift and Narrative,’ Religion and Literature, 37:3 (Autumn 2005): 2. 33 By Faërie, I mean the realm in which, or on the borders of which, most fairy-stories take place. It is synonymous with Chesterton’s Elfland, see G. K. Chesterton, Orthodoxy, …. and Chapter # …. 34 John Milbank, ‘Fictioning Things: Gift and Narrative,’ Religion and Literature, 37:3 (Autumn 2005): 1. 35 John Milbank, ‘Fictioning Things: Gift and Narrative,’ Religion and Literature, 37:3 (Autumn 2005): 6. 36 George MacDonald, ‘The Light Princess,’ pages in The Complete Fairy Tales, ed. by U. C. Knoepflmacher (New York: Penguin Books, 1999). 37 John Milbank, ‘Fictioning Things: Gift and Narrative,’ Religion and Literature, 37:3 (Autumn 2005): 6. 38 John Milbank, ‘Fictioning Things: Gift and Narrative,’ Religion and Literature, 37:3 (Autumn 2005): 9. 39 The notion of elves belonging more to nature than we do can be seen most beautifully examined by J. R. R. Tolkien in The Silmarillion. 40 I will return to this in Chapter 1. 41 Marcel Detienne, The Gardens of Adonis: Spices in Greek Mythology (Atlantic Highlands: The Humanities Press, 1977); L’Invention de la Mythologie (Paris: Gallimard, 1981). 42 A. J. Greimas, ‘La Littérature Ethnique,’ Sémiotique et Sciences Soicales (Paris: Editions du Seuil, 1974); Introduction à la Sémiotique Narrative et Discursive, ed. by J. Courtés (Paris: Hachette, 1976); On Meaning: Selected Writings in Semiotic Theory, (Minneapolis: University of Minnesote Press, 1993). 43 John Milbank, ‘Fictioning Things: Gift and Narrative,’ Religion and Literature, 37:3 (Autumn 2005): 11. Cf. Detienne L’Invention de la Mythologie, 15-50. The Mesopotamian/Babylonian Creation Myth’ http://www.crivoice.org/enumaelish.html. accessed on 17 April 2015. 45 John Milbank, ‘Fictioning Things: Gift and Narrative,’ Religion and Literature, 37:3 (Autumn 2005): 13. It should be noted that one cannot be certain that Milbank’s distinction between myth and folktale can be applied to all stories that fit within that category or that difference might not be recognised by other cultures with their own myths and folktales/fairy-stories. The importance, however, of the distinction, which comes up later in Milbank’s article, is that Christianity is more akin to fairy-stories than it is to myths in the sense in which Milbank defines them. 46 John Milbank, ‘Fictioning Things: Gift and Narrative,’ Religion and Literature, 37:3 (Autumn 2005): 15. 47 John Milbank, ‘Fictioning Things: Gift and Narrative,’ Religion and Literature, 37:3 (Autumn 2005): 15. 48 Cf. ‘Can a gift be given?’…Theology and Social Theory, Being Reconciled, The Word Made Strange, as well as “Fairy Economics” in Chesterton and Tolkien as Theologians. 49 John Milbank, ‘Fictioning Things: Gift and Narrative,’ Religion and Literature, 37:3 (Autumn 2005): 22-3. 50 See Catherine Pickstock, After Writing (), 140(3).? 51 John Milbank, ‘Fictioning Things: Gift and Narrative,’ Religion and Literature, 37:3 (Autumn 2005): 24. 52 John Milbank, ‘Fictioning Things: Gift and Narrative,’ Religion and Literature, 37:3 (Autumn 2005): 24. 53 John Milbank, ‘Fictioning Things: Gift and Narrative,’ Religion and Literature, 37:3 (Autumn 2005): 25. I will return to the Eucharist in the penultimate chapter. 54 Milbank makes some interesting connections between the Arthurian Grail legends and the Eucharist, that while interesting are not necessary to get into here. See John Milbank, ‘Fictioning Things: Gift and Narrative,’ Religion and Literature, 37:3 (Autumn 2005): 26. 55 John Milbank, ‘Fictioning Things: Gift and Narrative,’ Religion and Literature, 37:3 (Autumn 2005): 26. 56 See Chapters £ and £. 57 John Milbank, ‘Fictioning Things: Gift and Narrative,’ Religion and Literature, 37:3 (Autumn 2005): 29. 58 John Milbank, ‘Fictioning Things: Gift and Narrative,’ Religion and Literature, 37:3 (Autumn 2005): 29. 59 Cf. Iamblich, On the Mysteries, trans. Emma Clarke et al. (Atlanta: Society of Biblical Literature, 2003). 60 John Milbank, ‘Fictioning Things: Gift and Narrative,’ Religion and Literature, 37:3 (Autumn 2005): 29. 61 John Milbank, ‘Fictioning Things: Gift and Narrative,’ Religion and Literature, 37:3 (Autumn 2005): 29. Milbank goes on to connect this the “magical connectors” of Proclus and suggests that he is behind Aquinas’ analogy of attributes. He further suggests that Pico della Mirandola retains this magical dimension of the analogia entis better than the neo-scholastics. 62 John Milbank, ‘Fictioning Things: Gift and Narrative,’ Religion and Literature, 37:3 (Autumn 2005): 30. 63 See ‘On Fairy Stoies’…. and Chapter £. 64 John Milbank, ‘Fictioning Things: Gift and Narrative,’ Religion and Literature, 37:3 (Autumn 2005): 31. I’m in the midst of some intense thesis writing/editing which, alongside caring for twins, one of whom has been sick lately, has left me little time for blogging. Still, I thought I would do a quick post on what I’m reading these days. Having finished the Narniad (also known as the Chronicles of Narnia), I decided to read Michael Bond’s classic A Bear Called Paddingto n. I never read any of the Paddington books when I was a child. Reading the first one now I must say that I am rather enjoying it, more than Theodore and Edwyn are, no doubt. 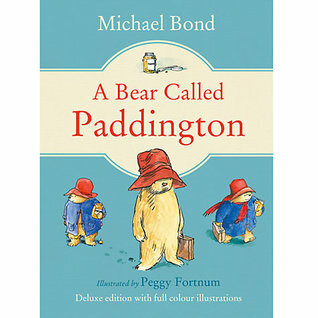 A talking bear who has recently emigrated from darkest Peru to England is taken in by the kindhearted Brown family. I’m not far into it yet, but the story seems delightful as normal human (and British) activities are rendered strange for us when we view them through the eyes of a child-high bear. 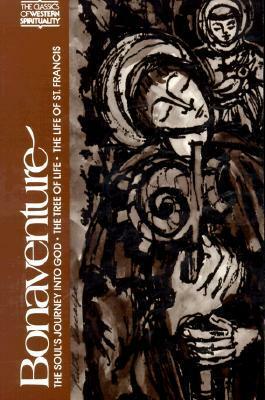 Not unlike with Paddington, this is my first time reading the Franciscan spiritual master. I’m still in The Soul’s Journey into God. I’m afraid I’m not giving it quite the thought or reflection I should. However, I do love Bonaventure’s approach to the world, namely that every created thing can work to take us to God, starting with the external and moving evermore internally. Bonaventure reminds us of the sacramental nature of the cosmos and the spiritual effects of this. 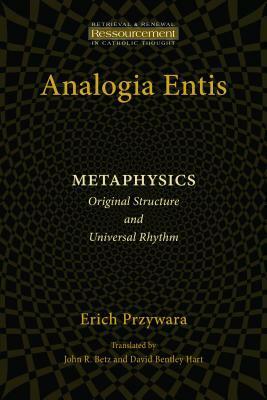 This is Erich Pryzwara’s magnun opus finally made available for English audiences (who are too lazy not to learn theologically dense, but beautiful, German) by translators John Betz and David Bentley Hart. I haven’t time to read the whole thing right now (it’s over 500 pages long), but have read probably half of it. It is a masterful explanation of the analogia entis as “finalised” (I can’t think of a better term right now) by Thomas Aquinas, primarily. If you have any interest in Thomas Aquinas, 20th century Catholic theology, metaphysics, or the analogy of being more generally, you need to read this book. It is beautiful in its use of Aquinas and other sources, including some instances of poetry. I have found it very useful both for explaining the relationship of the analogy of being to deification and the role human creativity plays in deification. Lastly, I’m doing my annual read of The Lord of the Rings. I’ve already re-read The Hobbit and intend to move on to The Silmarillion after. This book has had a profound impact on my life. It has done the most to shape my imagination as well as my vision of the cosmos. It is has influenced my theology and my spirituality (as well as my economics, politics, poetry, and more). I cannot say enough good things about this book. Read it, read it with fresh eyes, and let it render the world around you strange so you may see it anew. That’s what I’m reading. What are you reading these days?